Do you need a few partition walls put up in your office space? Would you like a new bench for your garden? Are there any jammed doors and window in your home you are tired of dealing with? 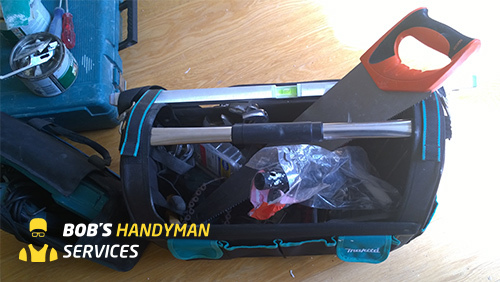 We, at Bob's Handyman Services, provide a team of qualified carpentry and joinery professionals that know their way around wood and wood related projects. You can rely on us to help repair floors and even build and install a designer kitchen unit. With the wide selection of service we offer, we are sure you will find the one you have been looking for. 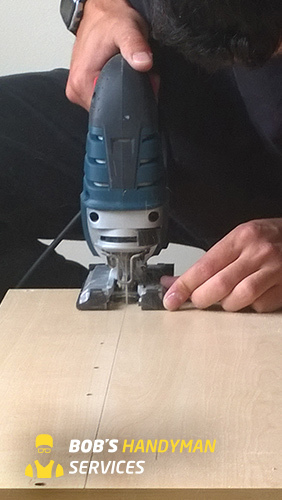 To arrange a visit with experienced carpenters in London all you have to do is dial 020 3137 9380. Floor Sanding & Finishing and many more.. Selection of booking options that includes Mondays to Sundays, and bank holidays. 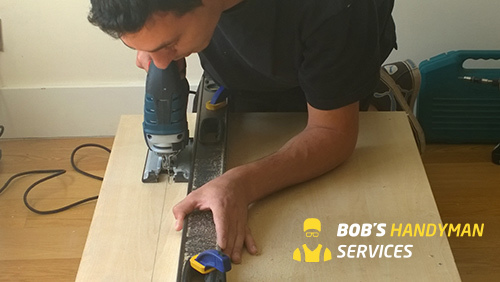 Order a service with London carpenters on 020 3137 9380 now! We offer 24/7 instant quotes and constant customer assistance. Call us or use our live chat box to receive all the information you need on our service and prices, when you need it. Alternatively, you can request a service for a call back from the team. We will get back to you shorty, helping you choose the service that will best meet your needs.